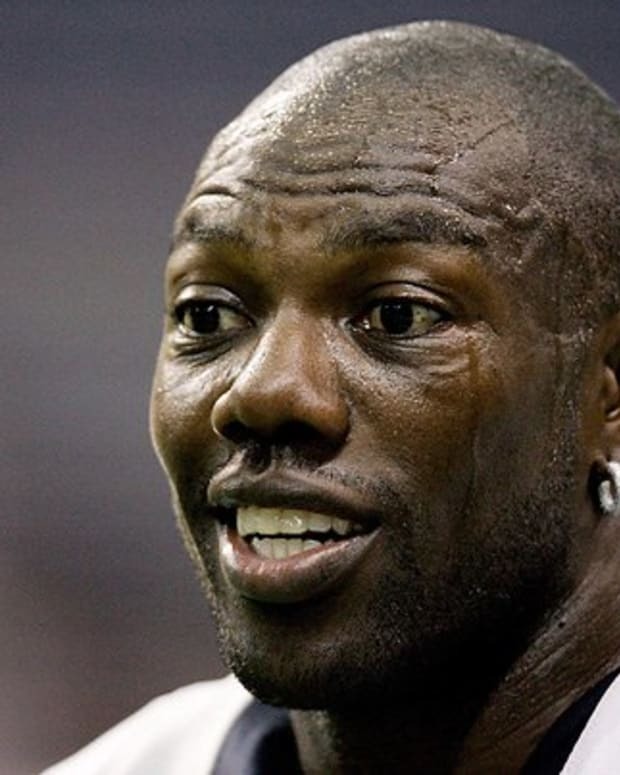 Terrell Owens has had a lot of free time ever since his football career died a slow painful death, and apparently he’s been spending at least some of it playing basketball. Recently, T.O. was challenged to a one-on-one showdown by four-foot-five streetballer, Mani Love. Partially because he is a competitor, and partially because he has nothing better to do these days, Owens accepted the challenge. Now, as hilarious as it would be if T.O. really lost to someone half his size – that wasn’t really the case here. Owens obviously avoided using his size advantage over Love and, because of that, this can’t really be counted as an honest defeat. Makes for a good headline, though.